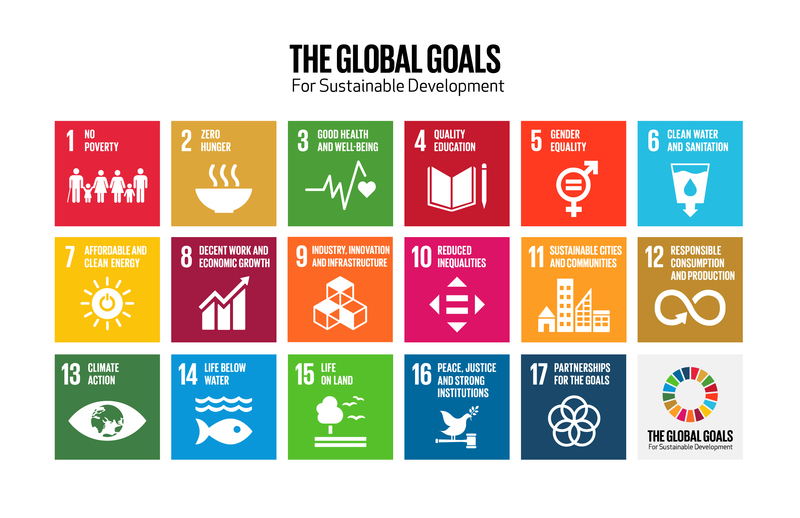 Global Goalscast: Who's making progress on their development goals? For ten days in July, global delegates met at the United Nations in New York to discuss their progress on the Sustainable Development Goals, and the news was not all good. The SDGs – targets laid down in 2015 to raise millions out of poverty and help put the world on a sustainable track to global health – are lofty, and for some nations, proving difficult. For the first time in a decade, the number of people undernourished has increased – up by 38 million people to 815 million worldwide. Young people remain three times more likely to be unemployed than adults. Access to water is improving, but basic sanitation remains off track. Since 2015, 250 million more people in Africa have access to clean fuels for cooking. But according to Rajesh Mirchandani, Chief Communications Officer at the United Nations Foundation, there are still positive stories of change. And in order to meet the SDGs' ambitious goals, innovation is key. Sometimes that means taking a new approach to partnerships. Gerbrand Haverkamp is Executive Director of the Index Initiative, the group behind the World Benchmarking Alliance. "The idea is to assess, let's say the world's 2,000 most impactful companies on what they do to contribute to the SDGs. And we're not only going to assess them, we are also going to compare them with each other, with their peers." That allows investors and activists alike to see how they perform against other peers and investment options. An example of an initiative that springs form this is Nestlé's partnership with the Swiss Development Corporation in Vietnam. The "More coffee with less water" initiative aims to train 12,000 coffee farmers in how to farm using water more responsibly, with an objective of cutting water use in half. The impact, if it's successful, could potentially be huge. Vietnam is one of the world's largest coffee exporters. Need something a little more bricks-and-mortar? Alexandria Lafci co-founded an organization called New Story which 3D-prints houses, even in the most challenging conditions. "The printer works. It is printing houses and early next year we'll be printing an entire community in El Salvador," she said. "A community of 100-plus homes will be finished by the summer of 2019." It's not simply about better shelter, it's about the ripple effects that causes, says Lafci. "We've seen it impact, you know, students' school performance and attendance, we've seen it impact people's mental and physical health, as I'm sure you can imagine. We've seen entrepreneurship crop up in the communities that we're working in. So, the impacts are so far-reaching." The bottom line, says Mirchandani, is getting involved and staying involved – even if your inventiveness doesn't translate into actual inventions. Know what's happening, know who's responsible, and make sure they do what they promise. "You can use social media, you can use events, you can do whatever you want to do to hold your governments accountable because you know what, in 2015 they promised to do all this. So let's make them live up to that promise," he said.